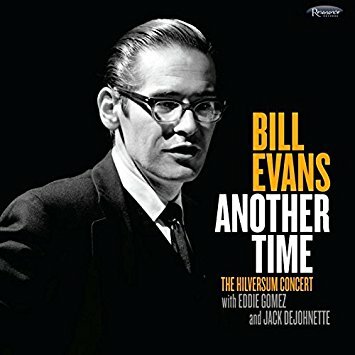 Some readers may remember that last year I recommended Some Other Time: The Lost Session from the Black Forest, a newly-discovered studio recording of Bill Evans with Jack DeJohnnette and Eddie Gomez–a legendary lineup that lasted only six months and had left only one known recording behind. Now comes another previously-unreleased live album by this group, this one recorded a couple of days later in Hilversum, Holland. Once again the jaw-dropping musicianship of these three great minds is on display: only his legendary Motian-LaFaro trio could hold a candle to this one. Gomez is a bassist very much in the LaFaro mode, frequently wandering off the walking path and into rhythmically unusual, harmonically impressionistic avenues, while DeJohnnette was at this point already both one of the most energetic and one of the gentlest drummers in all of jazz. Evans himself is at peak form here, his swing deepened by the lush romanticism of his chord voicings. Like the previous discovery, this album is a treasure and deserves a place in every library. Despite its title, the program on this disc consists not only of medieval plainchant, but also of later polyphonic arrangements of chant melodies dating from the 17th century. 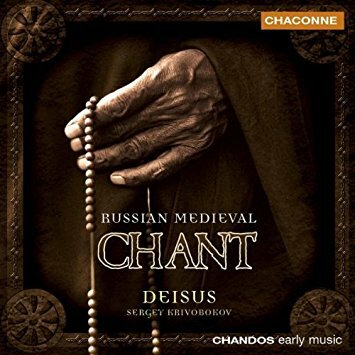 Those who are mainly familiar with the Gregorian tradition of plainchant may find this music startling: the voices are dark and bass-heavy, and the melodies (and their accompanying melismas) tend to be fairly limited in range, contributing to a feeling of meditative stasis. There is a somberness to this music that feels deeper than the peacefulness of Gregorian chant–and when the monophonic singing suddenly gives way to rich but astringent polyphonic harmony, the effect is electric. This release appears to be unaltered from its original 2001 issue. In stark contrast to the recording above, this one is filled with light. 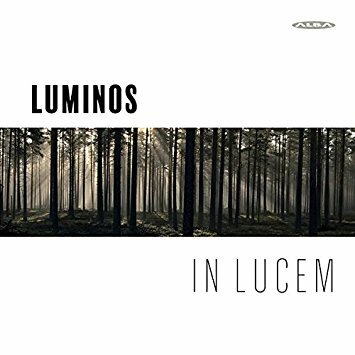 In fact, its title is Latin for “in light,” and the all-female choir it features is named after the Greek word for “filled with light.” The music is a broad mix of ancient and modern works by such composers as Eric Whitacre, William Byrd, Ola Gjeilo, Gioachino Rossini, and César Franck, but while the styles and time periods represented varied widely, the mood does not: while the intensity level varies, the volume (low) and tempo (slow) do not, and the result is a deeply moving and, yes, luminous listening experience. Highly recommended to all libraries. Don’t be fooled–this is not the vespers service for which Monteverdi is famous (and which was published in 1610). 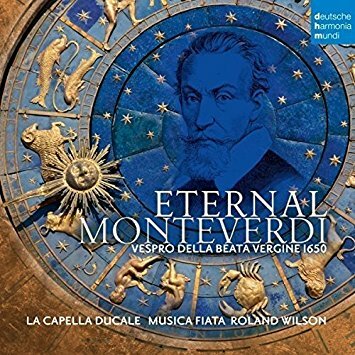 This is a posthumous collection of works by Monteverdi and a handful of lesser-known contemporaries (Giovanni Regatta, Massimiliano Neri, Alessandro Grandi), organized as a vespers service but consisting of entirely different music from that contained in the 1610 service. This is not a modern or speculative reconstruction, however–this service was compiled by Alessandro Vicenti and published as such in 1650, seven years after the composer’s death. 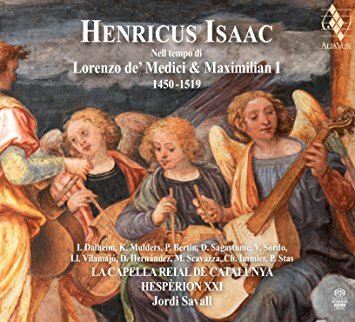 There’s no questioning the quality of this music, or the performances on this recording, and it should be of great interest to any library with a collecting interest in Renaissance music. This is the second release in a series designed to showcase modern works written in dialogue with ancient ones. The first volume featured works by William Byrd alternating with contemporary pieces written in response to them; this one takes the same approach to works by Thomas Tallis, setting them alongside related pieces by Frank Ferko, Richard Allain, Alec Roth, and others. (In many cases, these are world-premiere recordings.) 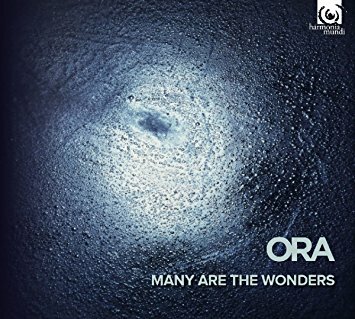 The resulting mixture of styles and approaches is fascinating and unfailingly beautiful, thanks in significant part to the magnificent singing of the ORA ensemble. Strongly recommended to all classical collections. 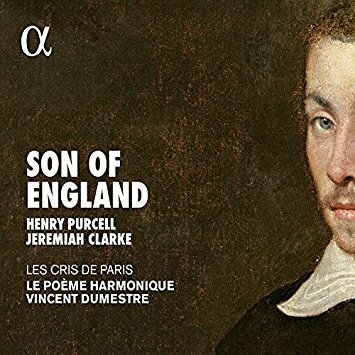 Jeremiah Clarke is a composer largely forgotten today–we know only the basic outlines of his career, which was cut short by premature death–but the funeral ode he wrote upon the (equally premature) death of the great Henry Purcell is testament to his tremendous talent. Paired here with Purcell’s own Funeral Sentences for the death of Queen Mary, it makes for a somber and deeply beautiful program. The disc concludes with the joyful ode to Saint Cecilia “Welcome to All the Pleasures”–an equally beautiful but slightly odd inclusion. Les Cris de Paris and Le Poème Harmonique perform with rich conviction and are beautifully recorded. The 500th anniversary of Heinrich Isaac’s death hasn’t gotten the kind of attention that it would have if he were as famous as he should be, but this loving (and carefully, elegantly curated) program is as good a tribute as one could hope for. Jordi Savall’s choir La Capella Reial de Catalunya and his instrumental ensemble Hespèrion XXI may not seem like a perfect cultural fit for the music of this 15th-century titan of the Franco-Flemish scene, but Savall has long shown his ability to interpret early music from just about anywhere with authority and commitment, and this is an absolutely ravishing recording. The pieces were chosen to reflect Isaac’s work as a member of the Medici court, and consist of both sacred and secular compositions. Highly recommended to all libraries. 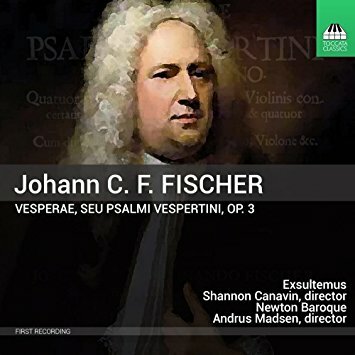 Although known primarily for his keyboard music, Johann Caspar Ferdinand Fischer was also a gifted composer of vocal music, and this vespers setting from 1701 shows him to have been deply influenced by the Italian school. The program also includes a Marian antiphon and a Magnificat setting, and is rounded out by couple of organ sonatas by his contemporary Johann Christoph Pez. 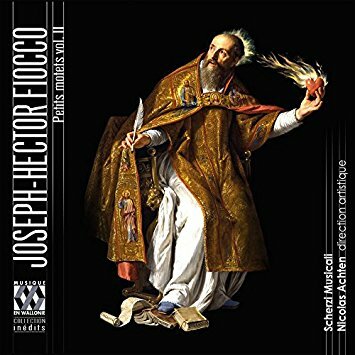 These are very fine, but the vocal works are outstanding, and are both beautifully sung and expertly recorded in the sympathetic of the Church of the Redeemer in Chestnut Hill, Massachusetts. This is a world-premiere recording of the vespers. Hearing a heart-stoppingly beautiful melody is always a thrill, and hearing one from a composer of whom you previously knew nothing is even more exciting, because it offers the promise of more heart-stoppingly beautiful melodies you haven’t yet heard. Joseph-Hector Fiocco was born in Brussels in 1704 and lived there for the entirety of his brief life. This is the second volume in a collection of his motets for four voices, strings and continuo, of which he composed a total of 22. His vocal lines have a Handelian grace to them, with subtle melodic surprises that make them all the more entrancing. These are exceptional performances by the Scherzi Musicali ensemble, and as soon as I’m done writing this I’m going to go in search of the first volume in this series. 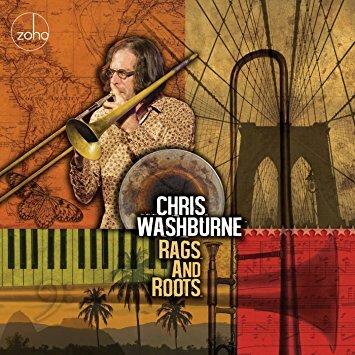 Trombonist Chris Washburne has assembled a crack team of instrumentalists and singers for this unusually diverse celebration of ragtime music and traditional jazz. If you’re expecting a typical assortment of ensemble settings of Scott Joplin and James Scott compositions, think again: these are stylistically ambitious reconceptions of standard ragtime tropes, some of which bring out the Latin influences, others focusing on bluesy inflections, and others pulling in different but related New Orleans styles. Washburne’s presence on trombone is constant but mostly peripheral: he’s the impresario but not the center of attention. This means that the whole album feels very organic and carefully orchestrated, but still plenty loose and fun. Highly recommended to all jazz collections. The days when I had a strong interest in jazz that could reasonably described as “politically motivated,” or “incendiary,” or as a fusion of jazz and metal–those days have pretty much passed. But a little skronk now and then does the heart good, and if it’s skronk in the service of positive social change, hey, so much the better. Song titles like “War Machine,” “Radicals,” and “Gaslight” give you some idea of what to expect: a fair amount of hellacious noise, but also complex and carefully-composed pieces that sometimes place long, lyrical trumpet lines over roaring layers of guitar and that can sound like a slightly antisocial kind of postmodern bebop. A lot of the time it’s hellacious noise, though. It would be interesting to know how many truly great jazz pianists are alive at any given time. The number would be determined, of course, by the standards one uses to judge pianistic greatness. But I’ll say this: you could tighten the criteria until you’ve excluded all but 10, and Fred Hersch will still be among them. In fact, I’d suggest that he’s very possibly one of the top five. His latest album is a solo excursion, perhaps the most deeply personal and introspective of any he’s made yet–and given that introspective depth has been a hallmark of his playing since the beginning, that’s saying something. 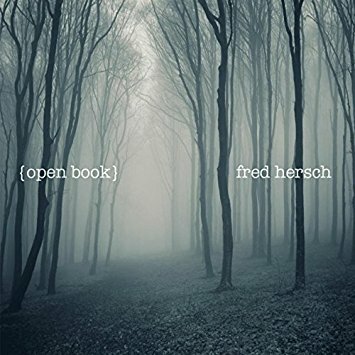 The centerpiece of this album is an original composition, actually a 19-minute onstage improvisation entitled “Through the Forest.” The rest of the program consists originals, standards, a Billy Joel cover, and (of course) a Thelonious Monk tune. All of it is exquisite. 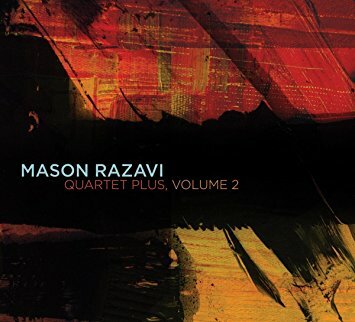 Guitarist and composer Mason Razavi has put together a very interesting program on his latest album. The first five tracks are straight-ahead quartet recordings (with the exception of the fusion-inflected “With the Wind at My Back”), while the second half of the album consists of pieces arranged for a nonet that sounds like a big band. I assume that the horn charts were arranged by Razavi as well as based on his melody lines, and they’re outstanding. His music is witty but also deeply emotional, and his rollicking, barnstorming take on the Duke Ellington standard “Caravan” ends things on a gloriously riotous note. Highly recommended. Jazz combos without chordal instruments are usually a tough sell for me, but since Jeff Campbell has long been one of my favorite bass players I decided to give this one a spin — and I’m very glad I did. 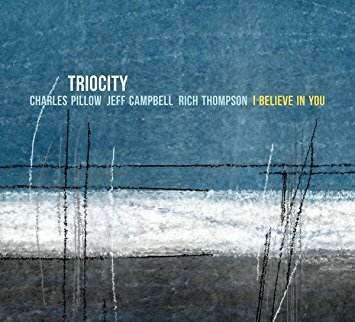 The group consists of Campbell, saxophonist/clarinetist/flutist Charles Pillow, and drummer Rich Thompson, and on this album they play nothing but standards, showing their range by tackling American Songbook ballads and gnarly bop classics (notably Thelonious Monk’s notoriously difficult “Trinkle, Tinkle”) alike, all in arrangements that show both deep musical maturity and a wilingness to take risks. This is a brilliant album that should find a home in every library’s jazz collection. 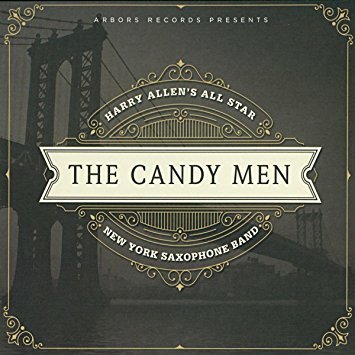 Harry Allen is one of the foremost living exponents of old-school swing, and for this album he’s gathered three additional saxophonists who are similarly inclined: Gary Smulyan, Eric Alexander, and Grant Stewart. Supported by the rhythm section of pianist Rossano Sportiello, bassist Joel Forbes, and drummer Kevin Kanner, they present a very tight set of Allen arrangements for sax quartet of both standards and rarities (including the boppish Jimmy Giuffre composition “Four Brothers” and several fine Allen originals), all of them fiercely swinging when they aren’t gorgeously floating along on a cloud of choral harmonies. Any library supporting an academic jazz program should take particular note of this really quite special album. I’ll just come right out and say it: country music isn’t always a lot of fun. It can be really intense, and it can be goofy, and it can be technically impressive, but very often it’s more earnest than fun. There’s nothing wrong with that, obviously, but it means that when a really fun album does come along it stands out from the pack. 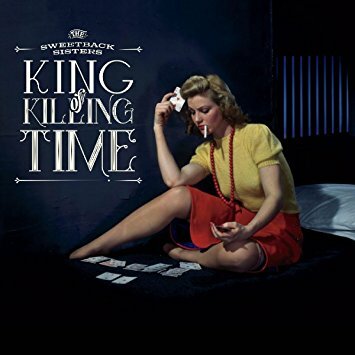 And despite the noir-ish title and album cover, that’s exactly what this Sweetback Sisters album is: yes, there are some barroom weepers here, but mostly it’s rollicking Western swing and upbeat honky-tonk raveups, and even the weepers are delivered pretty lightly. The whole album’s just wonderful. 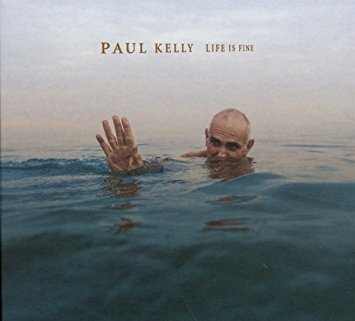 Austrialian singer-songwriter Paul Kelly’s music is kind of uncategorizable, but this one goes in the Folk/Country section because of its overall rootsiness and the predominance of slide guitars. 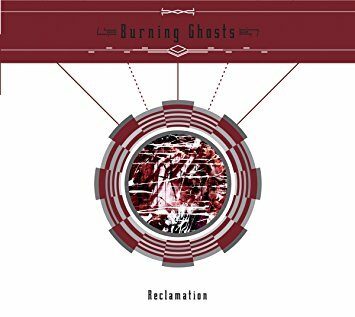 Not that they’re that predominant–more of a leavening agent in the overall recipe, which consists of crunchy guitars, tight female harmonies, and Kelly’s reedy, pleasantly aging voice. And those songs: over the course of four decades now Kelly has built an enviable reputation as a songwriter’s songwriter, the kind of guy who gets mentioned in the same breath as John Hiatt and Freedy Johnston. His latest will be welcomed by his well-established cult and it will be a revelation for those not yet familiar with his work. The intersection of country music and African-American culture has long been, shall we say, a contested one. Most black artists have steered clear, with some notable exceptions: Charley Pride, Aaron Neville, and of course Ray Charles among them. And some artists have blended country with R&B elements. 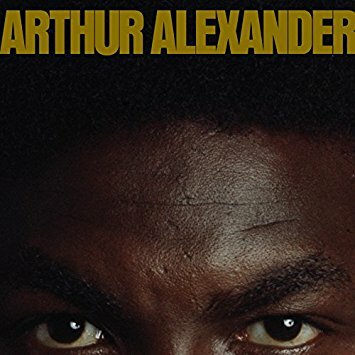 Arthur Alexander was one of those, and his sophomore album from 1972 blends country and soul elements so seamlessly that it’s hard to say which one predominates. 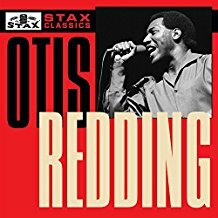 His use of the Muscle Shoals rhythm section helps to blur that stylistic line, of course, and also gives this album a gentle tensile strength that still impresses 45 years later. Highly recommended to all libraries. 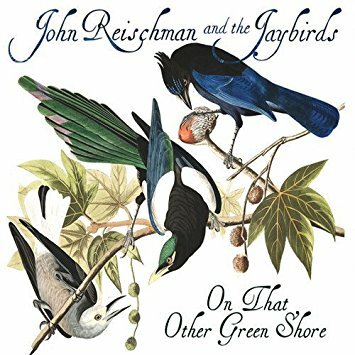 Mandolinist John Reischman has been a highly-respected figure on the alt-bluegrass scene for decades now. One of the original architects of the New Acoustic Music sound in the 1970s and 1980s, he has (unlike others of that generation) largely kept his music-making within the broad outlines of the old-time and bluegrass tradition, without letting those outlines constrict him very much. One of his defining qualities as a bandleader is his willingness to let others shine, and on his latest album he does that very effectively, showcasing the instrumental prowess of banjo player Nick Hornbuckle, the flatpicking chops of guitarist Jim Nunally, and the singing of bassist Trisha Gagnon. There’s a Beatles tune here along with some traditional and original fiddle tunes and vocal numbers, and all of it is excellent. 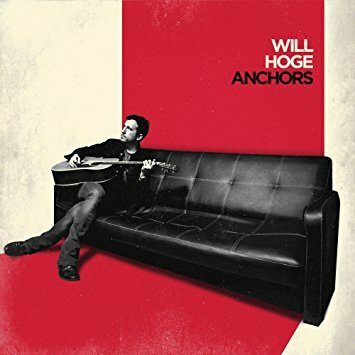 Since Will Hoge’s earliest recordings, even his most rockish and punk-edged rave-ups have had a rootsy edge to them. But over time, Hoge has gradually evolved into what can only be called a country artist–not a Nashville-style, cowboy-hat-wearing country artist, but someone who now uses pickup trucks as metaphors and unapologetically incorporates mandolins into his arrangements. And he still writes a song like no one’s business and sings it like it’s the only thing that matters in the world. Great stuff. 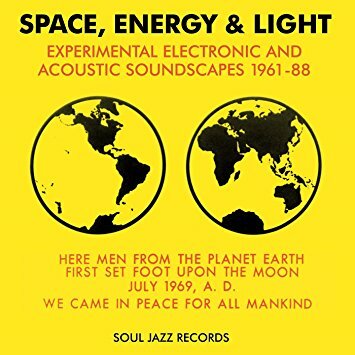 Charmingly dated, often fun, and occasionally hair-pullingly tedious, this collection provides an outstanding overview of early excursions in electronic pop, New Age, and experimental music spanning almost three decades. Most of these artists have since passed into obscurity, but not all: Steve Halpern went on to become a New Age rock star, and Richard Pinhas is still a cult hero. The sounds themselves range from blippy Moog tonalities to expansive digital soundscapes, and libraries with a collecting interest in the history of pop and experimental music should definitely take note. The Rhino label is orchestrating a series of compilations drawing on the deep vaults of the legendary Stax/Volt label, home to such artists as Booker T. & the MG’s, Carla Thomas, Sam & Dave, and, of course, Otis Redding. Budget priced (I’m seeing list prices ranging from $7.50 to $10) and packaged with handy historical summaries and discographical data, these collections may not stand apart from the crowd in terms of sheer content–best-ofs by these artists are a dime a dozen–but their affordability and historical content make them a solid choice for libraries looking for a nice overview of a vital period in American musical history. From the first bars of the album-opening “Send Me Down a Sign,” this album promises pure power-pop bliss: heavy but nimble guitars, hook-filled melodies, tight harmonies, and careful song architecture. The rest of the album delivers on that promise. 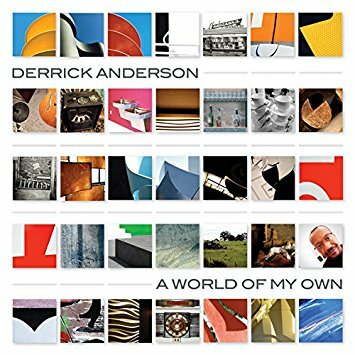 Derrick Anderson, who has made a name for himself as bass player for Dave Davies and the Bangles, cashes in some IOUs here: several Bangles provide backup vocals, as do a number of Cowsills, and instrumental contributions come courtesy of Matthew Sweet and (on one track) all of the Smithereens. The overall mood is sunny and bright, an explicit throwback to the California pop of the 1970s, in all the best ways. Strongly recommended to all libraries. Kaleida, a duo consisting of Christina Wood and Cicely Goulder, makes deeply beautiful and subtly unsettling electro-pop with a serious political message. The message is undermined somewhat by the pair’s tendency to record vocals in such a way as to make them nearly unintelligible, but that just strengthens the strange and ethereal beauty of the music. The beats are sturdy and propulsive, but they don’t dominate the sound, which is uniquely attractive: dark timbres and bloopy synth textures predominate, and there’s tons of subtle detail here–including the melodies, none of which will grab you by the throat but all of which will hold your attention if you attend to them. For something a bit harder-edged, less beautiful, and, frankly, more weird, consider the latest from Bristol-based electro-hero Nick Edwards, who records as Ekoplekz. The Germanic spelling of the album title puts you on notice: this will sound a bit like Kraftwerk with a hangover. And that’s not a bad thing, either–the robot-in-a-K-hole vibe of tracks like “Expedition” and “Acrid Acid” is engaging and forbidding at the same time, while the aptly-titled “Calypzoid” pairs off-kilter, faintly Caribbean beats with spooky synth tones. As I write this I realize that I may not be selling it very well. 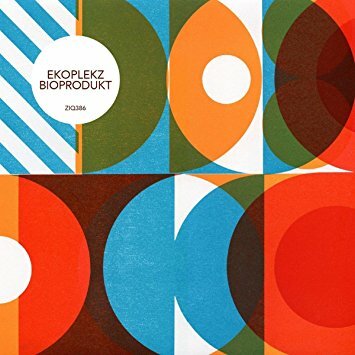 Trust me–if your library collects electronic music, you want a copy of this one. Here are two outstanding new collections of previously-unissued material saved from the vaults by the intrepid souls at Real Gone Music. 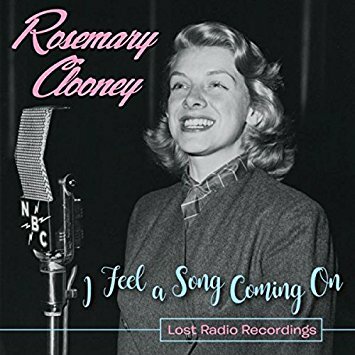 The Rosemary Clooney collection consists of radio performances recorded between 1952 and 1958, on which she is backed either by Buddy Cole’s trio or the John Scott Trotter Orchestra. Her voice was at its peak of richness during these years, and her style was cheerful and free. The sound quality is worth noting here–it’s exceptionally rich and clear throughout. 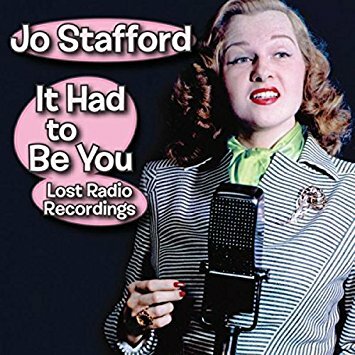 As great as the Clooney disc is, though, it’s slightly overshadowed by the Jo Stafford collection, which consists entirely of recordings she made for the Carnation Contented Hour (sponsored by Carnation Milk, which famously came from “contented cows”). On all of these performances she’s supported by the Victor Young Orchestra, and her voice is simply a marvel–feathery around the edges, but sure and powerful at the same time. Both of these albums are strongly recommended to libraries. When a guy travels the world trying to learn how to play instruments from a hugely diverse array of musical traditions, he inevitably opens himself up to charges of dilletantism (if not cultural imperialism). 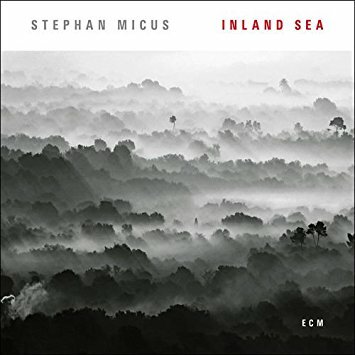 Stephen Micus gets around this by not claiming (or even trying) to be a musical ambassador–instead, he’s someone who wants to create new and very personal music by many, many different instrumental means. His latest solo album is centered around the sound of the nyckelharpa, an unusually-configured Scandinavian fiddle. But he doesn’t play it in a Scandinavian style, any more than he plays shakuhachi in a traditional Japanese style or the balanzikom in a Sufi style. He simply makes beautiful, often meditative, and deeply personal music that sounds like it comes from a country that hasn’t yet been discovered by anyone other than him. Trio Da Kali is a group from Mali consisting of balafon player Fodé Lassana Diabaté, singer Hawa “Kassé Mady” Diabaté, and bass ngoni player Mamadou Kouyaté. 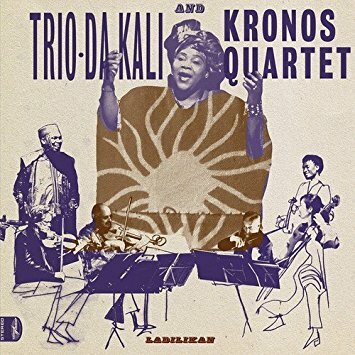 For this album they’ve teamed up with the always-interesting Kronos Quartet for a sort of griot/classical fusion project that is one of the loveliest things you’re likely to hear this year. Hawa Diabaté’s voice is a wonder–rich and powerful, and a perfect instrument not only for the traditional griot songs she performs here, but also for the album’s one anomaly: a Bambara-language version of the gospel song “God Shall Wipe All Tears Away.” A must for all libraries. The continuous DJ mix is a longstanding tradition in dance music, and it has a distinguished history in the reggae world as well. 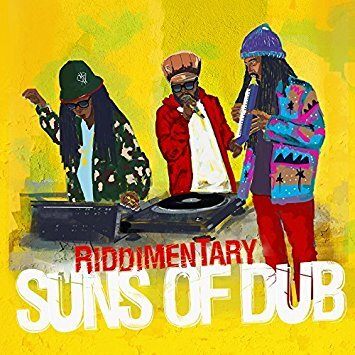 For this collection, the innovative Suns of Dub ensemble (who combine DJing, live instruments, and live dub mixing into their performances) were invited to create a mix program from classic material drawn from the VP and Greensleeves catalogs. The result is a nicely varied set that includes both familiar and obscure tracks by the likes of Augustus Pablo, Tenor Saw, Sister Nancy, Prince Far I, and Lacksley Castell. The Suns seem to have done a little bit of additional dubbing-up on their own (as well as adding the odd air-horn effect), but for the most part these tracks are presented in their original, bass-heavy glory. This disc is both tons of fun and also a useful illustration of one important strand of reaggae practice. This is really a match made in heaven: progressive dub collective Subatomic Sound System and legendary reggae producer Lee “Scratch” Perry, the man who is second only to King Tubby in his importance to the early development of dub. 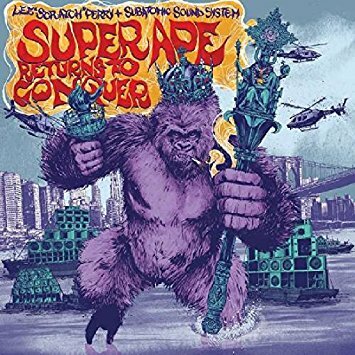 Unlike Perry’s other recent releases, this one unapologetically revisits his classic work of the 1970s, featuring recuts of songs like “Chase the Devil,” “Patience,” and “War ina Babylon,” along with new adaptations of classic Black Ark rhythms like “Curly Locks” and (of course) “Super Ape.” The Subatomic crew make sure that this doesn’t turn into a pure nostalgia exercise, however: their trademark production values are all over these tracks, deepening and expanding the grooves, and Perry himself chats gleefully over most of them, resulting in a fresh and invigorating celebration of one of reggae music’s most eccentric geniuses. Today, reggae music is probably the most popular and well-known musical export from the Caribbean islands. But before reggae, there was of course calypso — not to mention merengue, beguine, mambo, and other musical forms that delighted mid-century American listeners. And there was also the influence of West Indian musicians on jazz, soul, and other indigenous American musical forms. 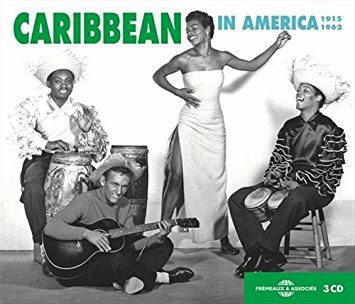 This wonderful three-disc set tracks Caribbean influences on all kinds of American vernacular music: Cuban influences through jazzmen like Dizzy Gillespie and Charlie Parker, West Indian sea songs by Stan Wilson, New Orleans creole music from Professor Longhair and Allen Toussaint, Caribbean-influenced pop music from Fats Domino and Bill Haley & the Comets, and (of course) contributions from a bumper crop of Calypsonians–including, startlingly, the young Louis Farrakhan (performing as The Charmer). This is a widely varied and hugely enjoyable compilation.